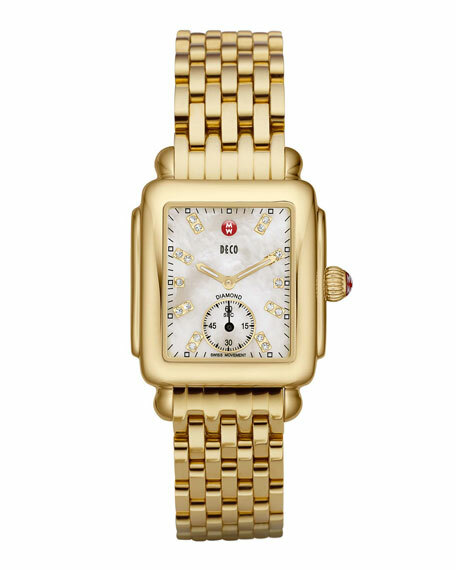 Easily interchangeable with any Deco 16 watch head. 18-karat gold-plated stainless steel 7-link bracelet. 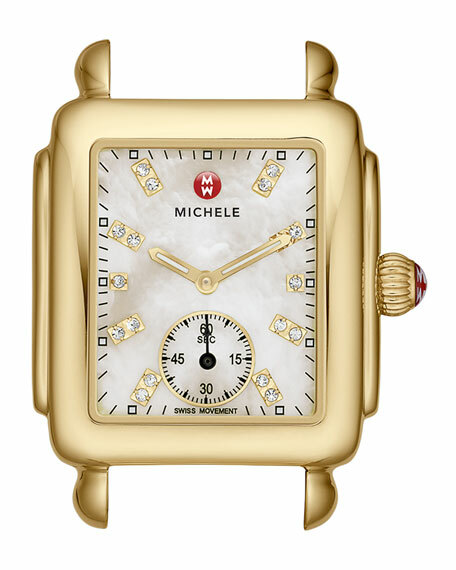 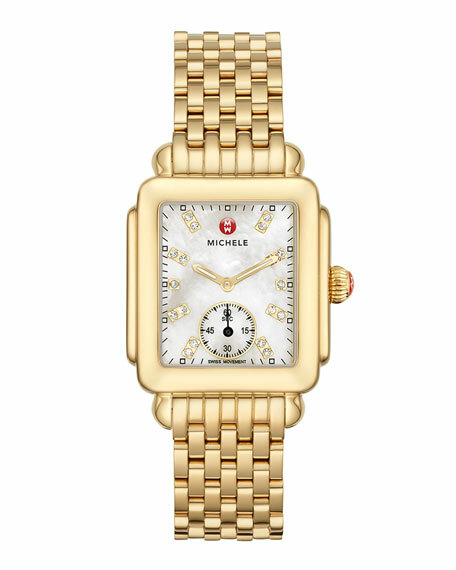 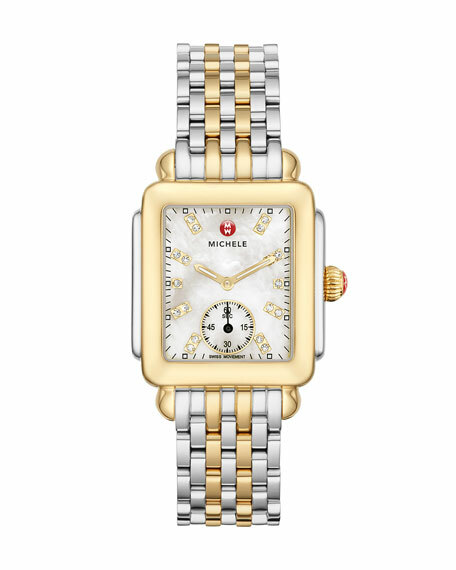 Push-button clasp with MICHELE logo.